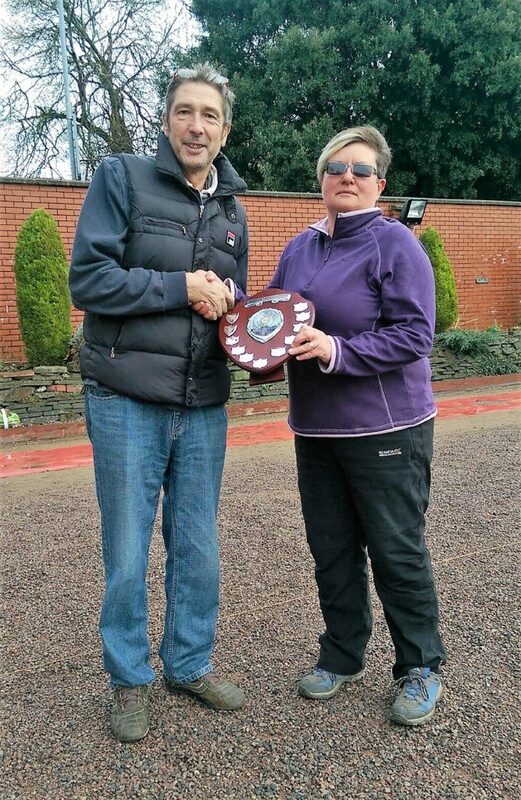 Down at the club today Jayne Dunn, back from her caribbean holiday, finally received her Most Improved Player of the Year Award from Kon Tomczyk, WPA Director of Development. The award had been announces at the WPA Presentation Evening earlier in the month when Jayne was away on holiday. Jayne was down at the club completing her assessments for the European & World competitions later this year.